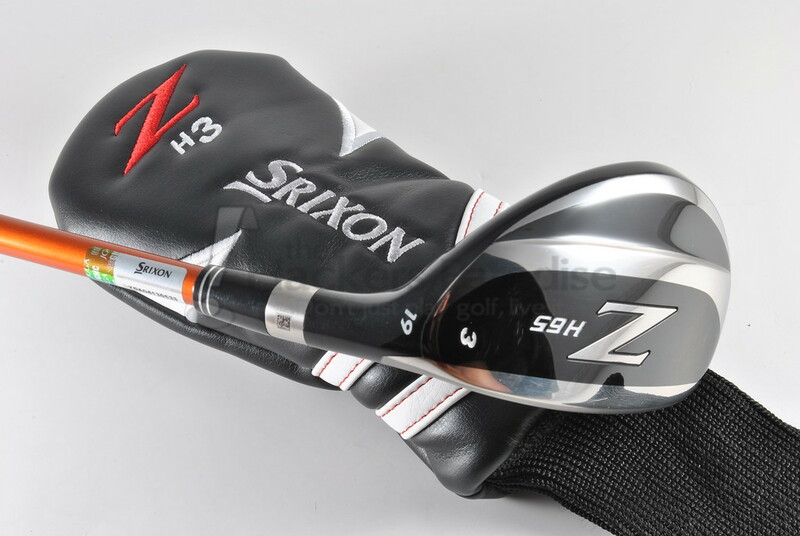 Rounding out the metal-wood lineup for Srixon for their newest iteration of the “Z” lineup is the H65 hybrid. Featuring three loft options, the emphasis here is on using key technologies to create hybrids that produce optimal spin and launch to maximize playability in the lower lofts where most amateur golfers no longer carry irons. 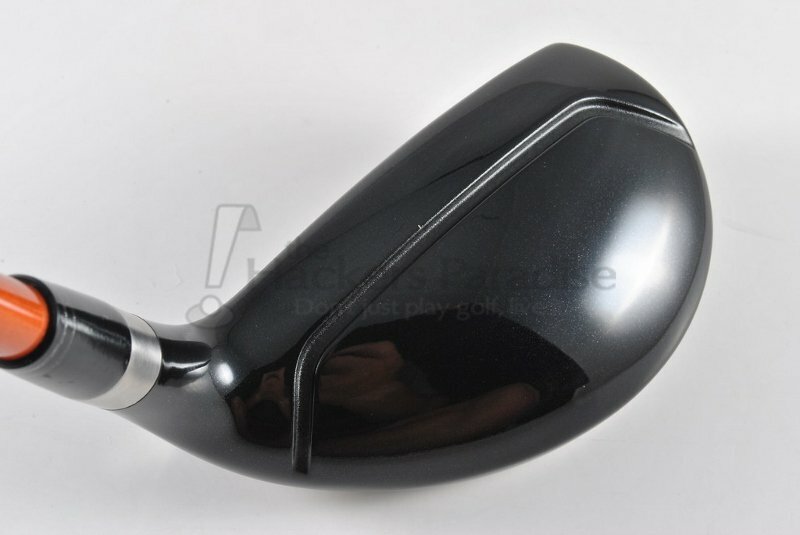 THP received for review the H65 3-hybrid lofted at 19° and paired with the Miyazaki Kaula 7 in stiff flex. With their new H65 hybrids, Srixon is putting emphasis on their Arc Support Channel as well as optimizing the CG based on hybrid loft. In order to better understand exactly what this means, it is worth taking a closer look at the key technology as well as how it presented itself in terms of performance during review. Srixon’s “Arc” channel isn’t all that unlike other designs we have seen on hybrids from various manufacturers in its base intent, increasing launch angles. Where this differs in design is in both the overall shape, as well as having variable depths dependent on loft. The idea here is not just to increase the launch depending on the hybrid in use, but also making sure that the spin being generated is conducive to the type of shots each loft of hybrid is typically used for (lower lofts aren’t hit into greens as much, higher lofts are, etc). Since the 19° model was in for this review, it possesses the “middle” Arc Support Channel depth aimed at making it versatile both off the tee and into the green. Time spent with the 3H proved it to have the ability to hit, and shape, shots off the tee and deck while also having enough spin to hold greens with only marginal rollout. Alongside the Arc Support Channel being variable to optimize performance for the most common ways/areas the H65 hybrids will be used, they also did similar with the Center of Gravity. Knowing that the lower lofted hybrids are typically harder for amateurs to get adequate launch from, while the higher lofts are going to be leaned on more to hit actual golf shots with, moving the CG lower and higher respectively seeks to help accomplish exactly that. 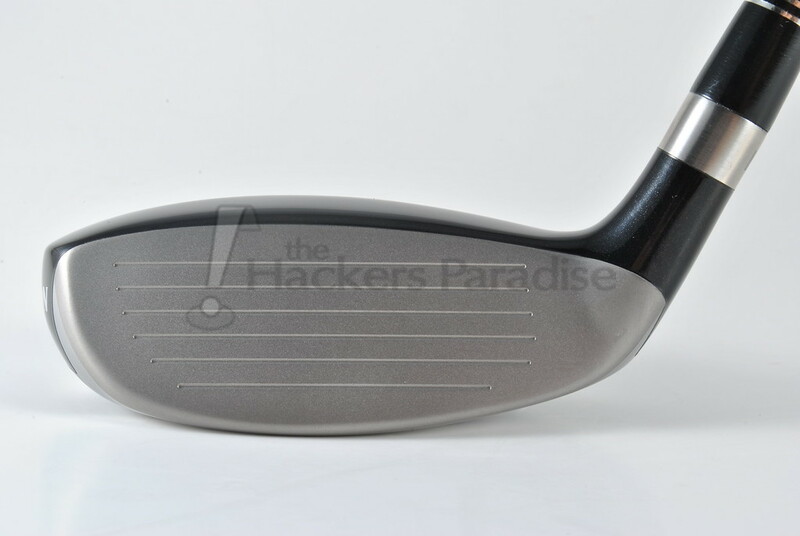 The 2H features a flatter sole to place weight lower in the head keeping the CG down while the 4H is more rounded allowing it to situate a bit higher in the design. 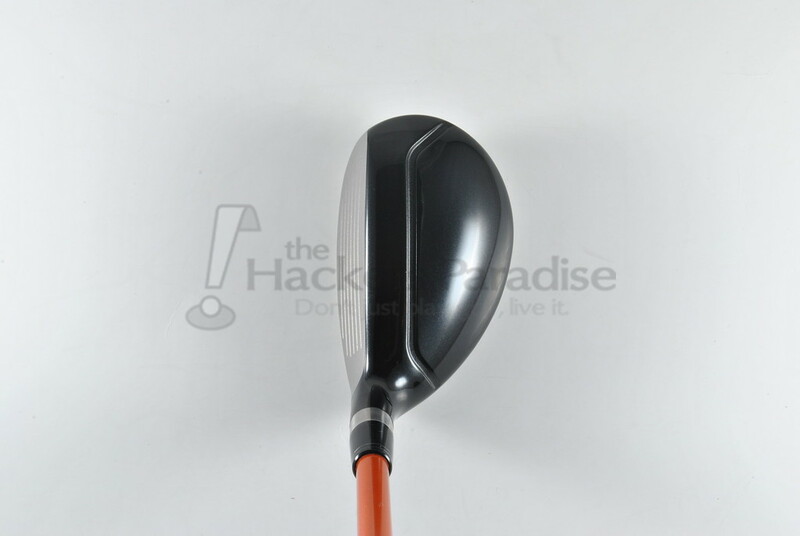 This leaves the 3H, which was the club in for review, to have the middle most CG, and time spent with it showed ample ability to work the golf ball both ways while also having a mid-high launch angle off of the tee and deck. The H65 hybrids are well-balanced where the overall shape/footprint is concerned. The better player who doesn’t care to look down at a lot of offset will enjoy the build, while at the same time there is enough mass in the shape that the average golfer can have confidence with it. The general aesthetic package of the H65’s match that of the rest of the new “Z” metal-wood lineup from Srixon, a deep black crown and a super clean sole with the contrast of gloss black and polished chrome rounding it out. Obviously though, the eyes will wander immediately to the Arc Support Channel when the club is at address, but the shape of this channel compared to others makes it much less obtrusive and as cliché as it sounds, you begin to not notice it. Add to it all the orange tinted Miyazaki shaft, Tour Velvet grip, and vintage stylized headcover round out the package and create a unique, yet classic looking club. At impact the H65 hybrid reminds this reviewer a lot of the Cleveland 588 hybrid, which is a compliment. There is a very solid audible feedback that makes the club feel more like an iron replacement than some others on the market. In terms of tactile feedback, there was some slight twisting at impact on toe strikes, but nothing to the point of effecting performance. Unlike other hybrids with different types of channels built into the crown or sole, the H65 doesn’t give that exaggerated trampoline sensation which along with the aforementioned sound definitely aids in it feeling like a hybrid focused on using the spin and launch generation of the Arc Support Channel to improve the general versatility of the club and not just chasing distance. During testing the 3H provided a high launch from both the tee and deck while also producing a lower than anticipated amount of spin. However, the spin in coordination with the peak height and descent angle held greens more than adequately enough given the 19° loft. Beyond that, the smooth sole was of some concern entering the review, the H65 3H was put to the test in a variety of lies including some very thick rough and it had no issues maintaining good turf interaction while not being any more susceptible to digging than other hybrids also lacking any sort of sole rail/ridge. In terms of forgiveness and workability, the H65 3H produced ball speeds that were higher than this reviewer expected, while also maintaining them extremely well on strikes higher on the face which is part of the performance goals of the Arc Support Channel. Shots struck heel side had the biggest loss of launch and distance while low and toe managed to keep a playable direction and distance. The club also gave this reviewer the ability to flight and work the golf ball as needed without ever feeling as “draw biased” as some hybrids can be. 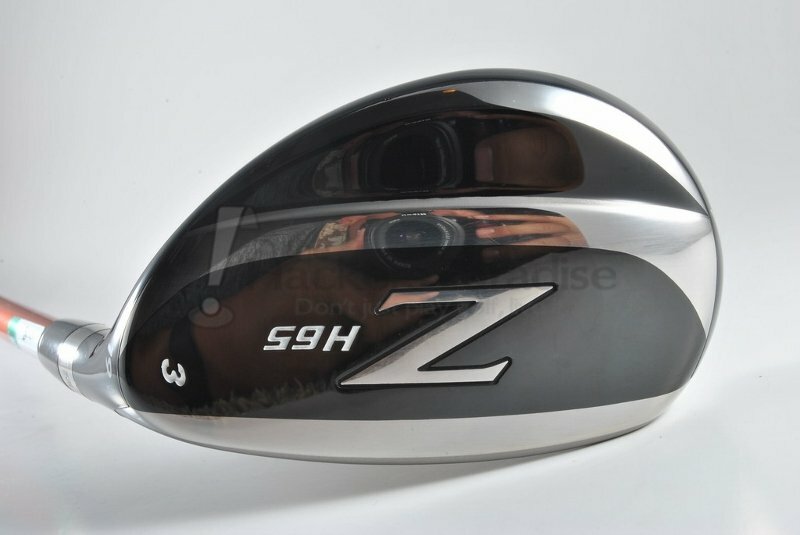 In terms of the new “Z” metal-woods from Srixon, the H65 hybrids are likely to be a bit under the radar compared to the buzz that the rest of the line will generate, but that does not at all reflect their playability. At its root, the H65 is a very capable hybrid designed to blend well into the irons while also walking the line of providing ample distance and significant workability. The key for the H65 will be people taking the chance to go and hit them to see what they bring to the table themselves and if it fits what they want/need in a hybrid. The Z H65 hybrids have a price point of $220.00, more information on them and the entirety of the new line will be available on www.Srixon.com. I’m very interested in this club as a player who relies heavily on hybrids at the top of his bag. I also like that is a high launching club as I have a lower ball flight. Great review James. As usual, answered all the questions I would have about this club. Great stuff James, I love the way the shape of this one seems to frame the face very well. Seems like Srixon made some great improvements on this one. Nice job James!! Really enjoyed your input on these hybrids. I like the overall looks!